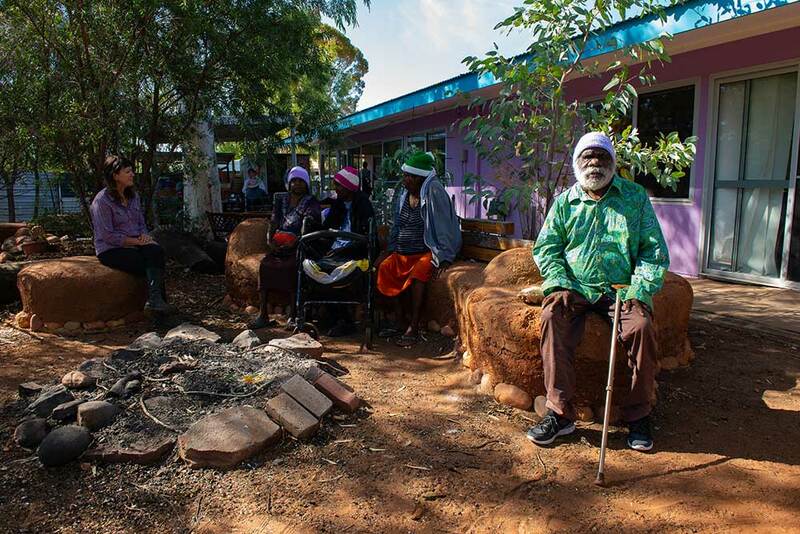 Based in two adjacent residential blocks in suburban Alice Springs, the Purple House is our headquarters and a home away from home for patients forced to relocate from remote communities for dialysis treatment. Patients can come in for a cuppa, to do their washing, see the GP, cook damper and kangaroo tails, or get some support. And we try to have fun and look after each other along the way!